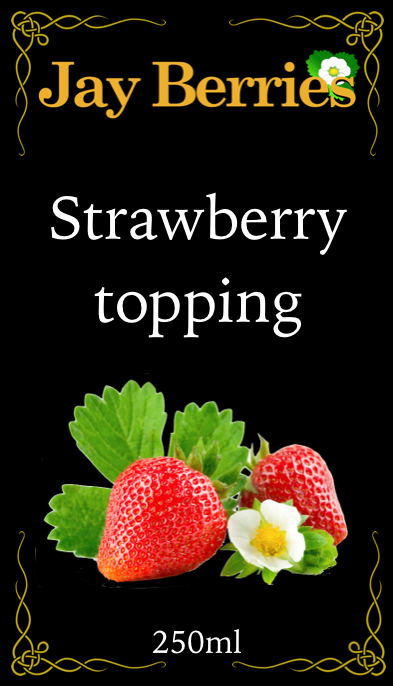 Delicious strawberry topping made from delicious real fruit! 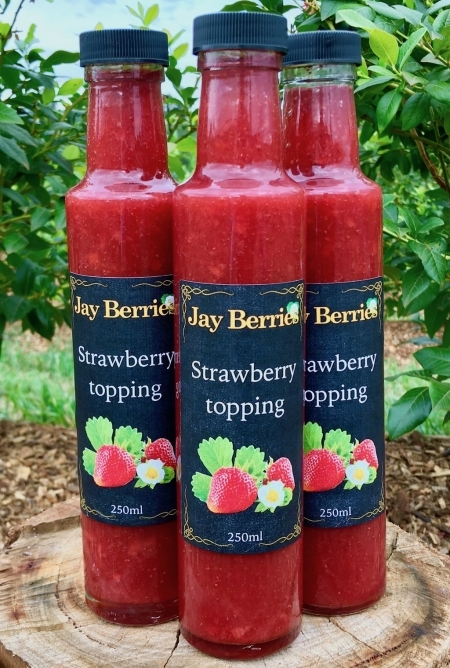 When you taste our sauce you’ll know it’s made from real fruit straight away! Because we use real fruit and nothing artificial, you’ll notice a slight difference in taste between batches of topping. The reason is that each berry has a slightly different water content, sweetness and taste depending on the weather and soil conditions at the time of growth. 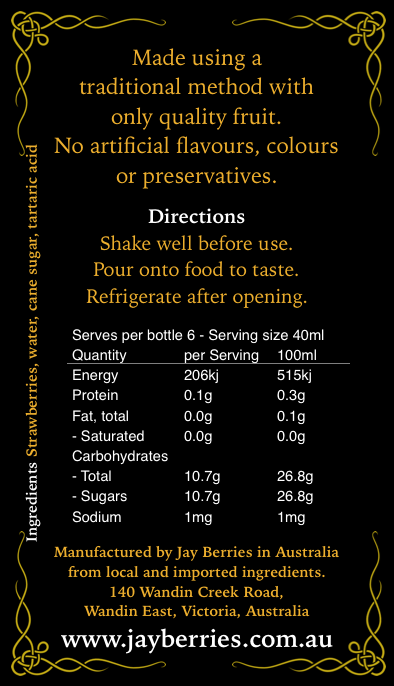 That slight variation in flavour is a great way to know you are consuming a product made from real fruit! Enjoy on pancakes, ice-cream, cakes, etc.